The 2019 Ferrari 488 Pista reviews all echo with a similar sentiment: as a vehicle equipped with Ferrari’s most powerful V8 engine ever, its a driving experience unlike any other. For more about what that means, read on. 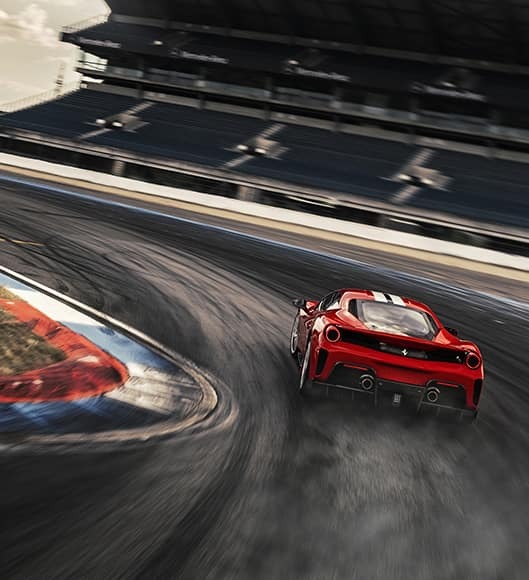 Road and Track’s 488 Pista review focus on that transfer of track-focused technology to a road-ready car, pointing out that that car’s downforce-generating S-Duct has its origins in Formula One racing and its rear diffuser is taken from the 488 GTE. Repositioned air intakes, meanwhile, allow for larger intercoolers. What’s important is that these changes have concrete results: in test runs at the Pista di Fiorano, Ferrari’s private test track, the 488 Pista made the run 1.5 seconds faster than the stock 488 GTB and a full two seconds faster than the 458 Speciale and its naturally aspirated engine. Automobile’s review starts by praising its stunning engine, pointing out that, at 711 hp 2 8,000 rpm and 568 lb-ft of torque at 3,000 rpm, it’s “the most powerful V-8 in the marque’s history” and noting that Ferrari says the Pista’s engine has more in common with the 488 Challenge race car’s than it does with the GTB’s.”The review also heaps praise on the car’s revisions, particularly in the areas of its air intake and cooling. For instance, the review notes that the 488 Pista’s engine air intakes have been moved to the bodywork around the rear spoiler, which provides a ram effect, while the intakes on the car’s flanks (which, Automobile notes, are inspired by the Ferrari 308), are designed to cool the engine compartment, which in turn increases airflow and allows for the addition of a larger intercooler. Finally, the front-mounted radiators angle toward the car’s rear (unlike on the GTB), which result in a 7 percent improvement in cooling efficiency. A stunning car that stands out on the road as well as the track, it’s unsurprising to see every 488 Pista review heap praise on its engineering achievements and the quality of its drive. 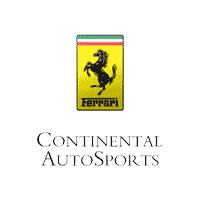 As sought-after around the world as it is around St. Louis and Indianapolis, you can inquire about how to get your own when you contact Continental Ferrari. We’re based near Chicago, but we proudly cater to supercar enthusiasts throughout the United States.